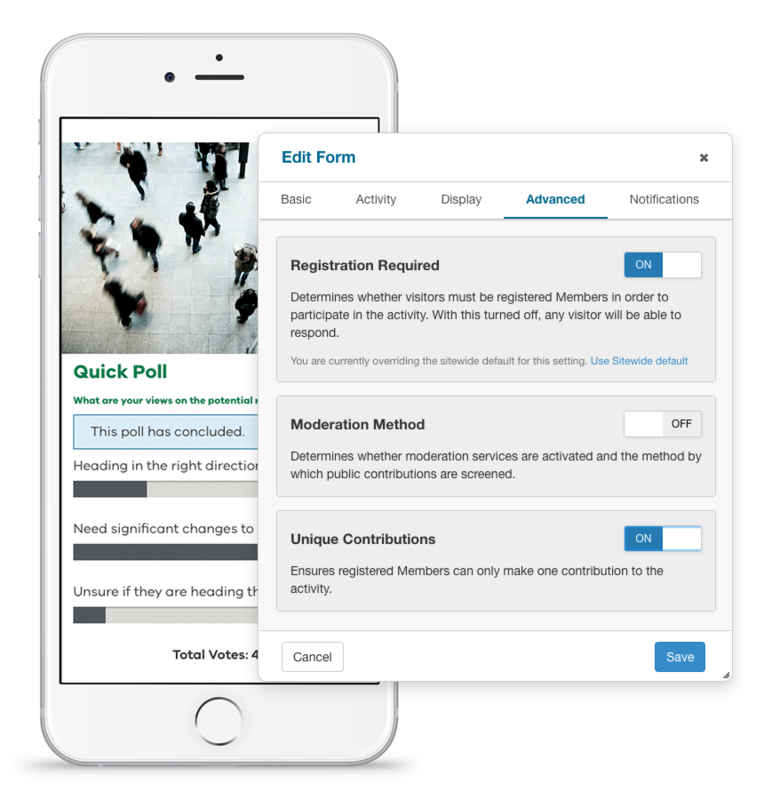 The HiVE helps you manage key aspects of engaging online from creating participation activities to screening public contributions. Build trust with your community by creating easy and meaningful ways for them to contribute. With a wide range of participation tools available, you select the best tools for the job at hand. 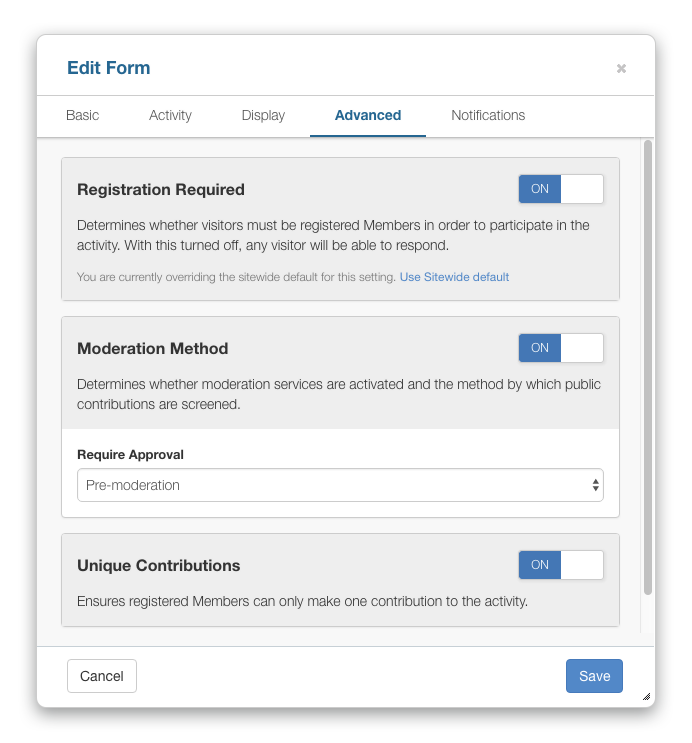 With the ability to configure each participation app individually, you control the parameters for collecting the appropriate data and information. With content moderation services included in all packages, you can rest assured that user-added content will be diligently screened and removed if necessary. Our moderators watch over your site or project, even when you’re not around. Our human moderators review content added by your users around the clock and refer suspicious content to you for further review. A built-in interface helps you see which comments have been approved or rejected, and which are awaiting your review. Automatically screen problem words with a configurable banned words list that stops users from using them. Keep your channels clean by blocking trolls and other problem users. 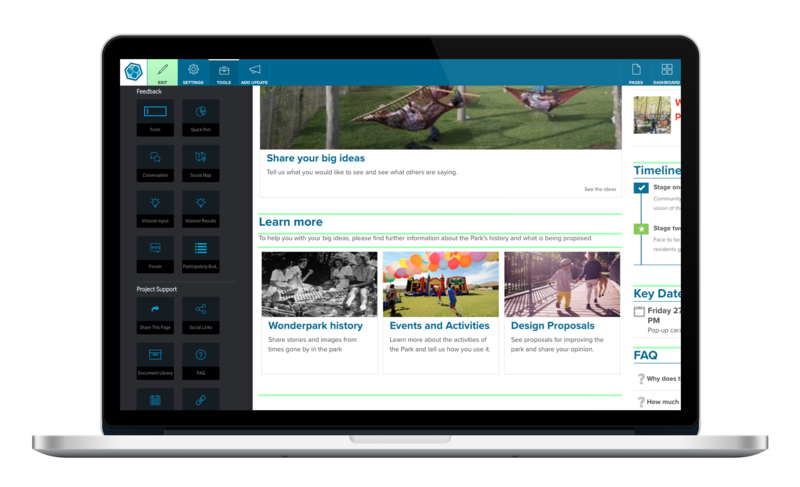 Decide how you want your content to be screened, with post-moderation to facilitate real-time discussion, and pre-moderation for more sensitive engagements. Set workflows at a global level or adjust for individual apps. Turn moderation services off or on for each activity. Allow comments to be published to your site, and only removed if there is a problem. 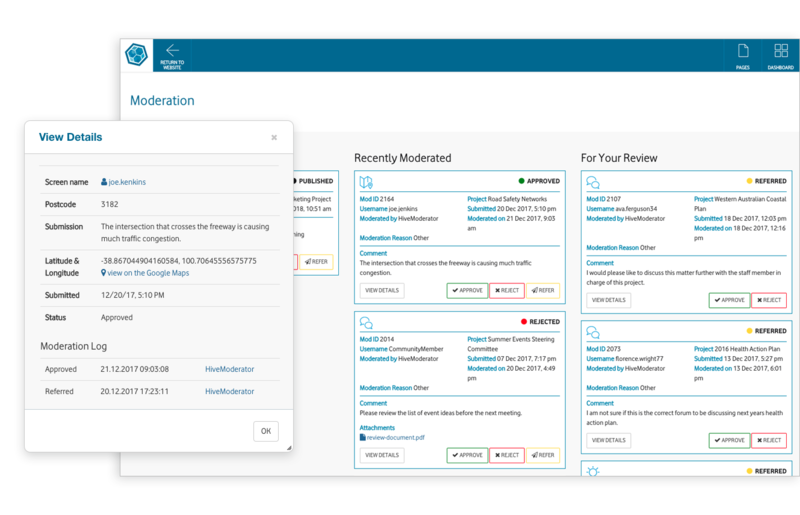 This option helps keep conversations flowing and published comments receive moderation review within a short timeframe. Pre-screen user comments and decide whether you want to allow them to be published. This option will mitigate risk during highly controversial engagements.